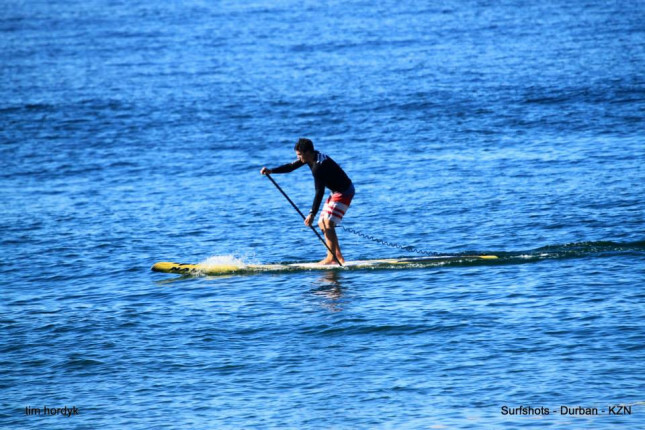 Ethan has lifted his game and was untouchable in both the long distance (which was shortened to 4.8km due to time-constraints) and the technical in-out race. Thomas King and Durbanite Brandon Read were out paddled for the podium in the distance race while Kimon dos Santos and Tyran Cooper had a close tussle for second in the tech race. In the ladies, local gal Shelley Bradfield took a convincing win ahead of Tarryn Kyte in the distance race. 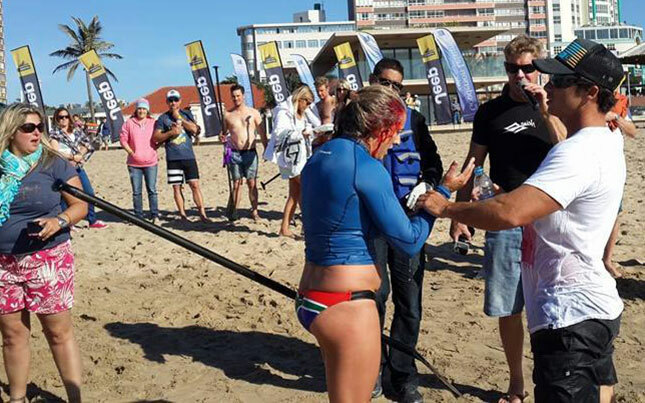 However Shelley managed to connect with her board in the tech race – this gave her a trip to hospital, 7 stitches and a DNF… and left the win and overall title to Miskha Steyn. 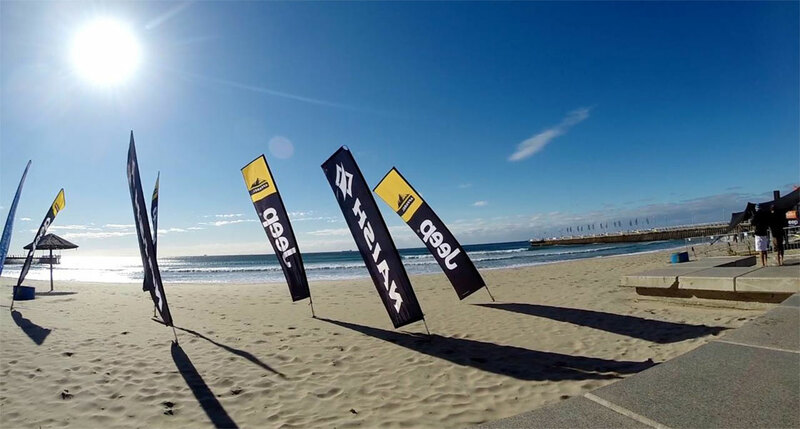 The tech race was held in quite challenging onshore winds with 3-4ft waves hitting the middle sand-bar with some consequence – this split up the field quite a bit and we had a couple of dinged boards. 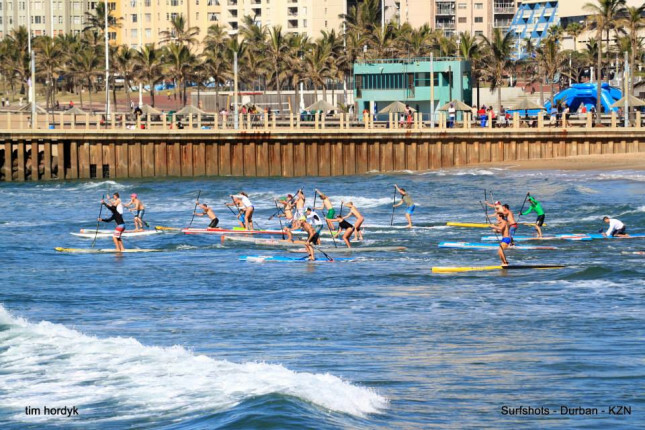 Check out the video below to see how it all looked or scroll down to see results and current South Africa SUP Race Tour standings.